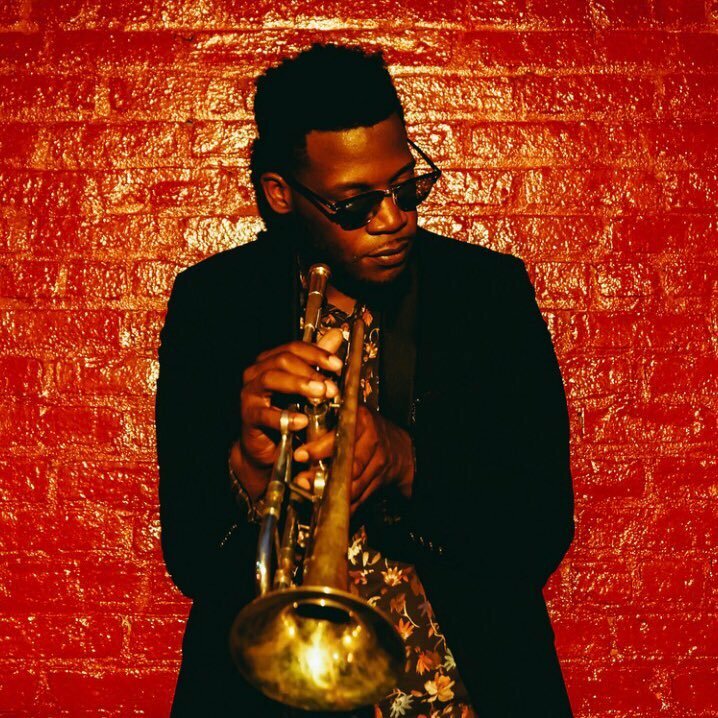 * Trumpeter Keyon Harrold (pictured) is the guest on the latest episode of the Burning Ambulance podcast. * Guitarist Todd Mosby's New Horizons Ensemble is the subject of a short feature in the Joplin Globe, occasioned by their upcoming performance in nearby Pittsburg, KS. * Quincy Troupe's spoken word performance with the George Sams Quintet tonight at St. Louis University is previewed in an article by the St. Louis American's Chris King. * St. Louis Public Radio's Jeremy Goodwin previews the 2018 St. Louis International Film Festival, which starts this weekend, with a story including a bit about the fest's screening of the documentary Jazz Ambassadors. * BB's Jazz, Blues & Soups got a mention in an article in the UK newspaper The Telegraph explaining "How the American Midwest became the most important music destination in the US." * St. Louis Volunteer Lawyers and Accountants for the Arts is presenting another of their "Business Edge' workshops, "What’s in a Name?" at 6:30 p.m. Monday, November 12 at The Stage at KDHX, 3524 Washington Avenue in Grand Center. Panelists will discuss the importance of naming for bands and brands, and then attorney Kevin Haynie will talk about the pros and cons of registering a trademark. The cost is $10 in advance, $15 at the door, and you can register and reserve a spot here.